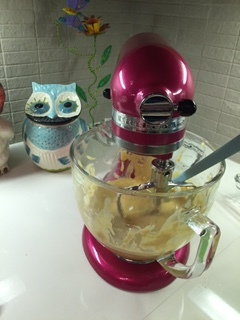 I Bought a Mixer! A Hot Pink Kitchenaid! Oh geez, so excited. I think it’s from watching Pioneer Woman all through the holidays with my family. She has a super snazzy hand painted version that costs $1350 smackers (does that include tax and shipping?) but I can work the fabulous hot pink with a glass bowl! Does it match my kitchen? Nope. Any of my stuff? Nope Nope Nope. But it’s PIIIIIIIIINK and I love it. Excellent price from our friends at Amazon, too. I’ve been stalking it for a while and when the price dropped to an agreeable level, I pulled the trigger. She’s so pretty. 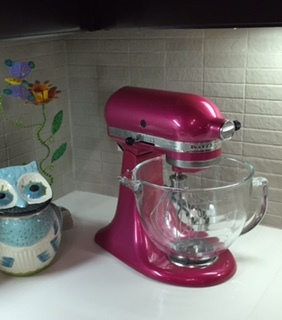 I’ll have to check to see if Anthropologie makes an owl cookie jar with some pink, just to tie it all together. Three owl cookies jars isn’t enough, right? Sigh. That glass bowl. The shine of the paint. Love! One of the guys I work with is a fierce baker in his free time, and he essentially said his Kitchenaid would have to be pried from his cold, dead hands. He advised that I get one of the beaters with built in spatulas, and after my experiments this weekend, I agree! Not having to scrape the sides during the mix will be very helpful. First up – pancakes. PANCAKES! My mom was a gem and made up little individual baggies of the dry ingredients to make gluten free pancakes. And can I give you a pro tip here? If you happen to run out of regular coconut or almond milk, and all you have is the tasty, tasty chocolate? Oh, it’s delicious. You will have gorgeous chocolate pancakes. If you want to mix them with God’s Great Glory of Chocolate ‘Mega Chunk’ Chips (made by Enjoy Life Foods, available at my Target in the ‘hood as well as the regular grocery store in Springfield, MO) then you’ve got something SO GOOD. I might have added the part about God’s glory. Not good for what it is, mind you. Just good. I’m pretty sure I didn’t add syrup. I can’t believe I didn’t take a picture of them. What’s wrong with me? I guess that’s how fast they went into my belly. I just fell into a rabbit hole, didn’t I? SQUIRREL! And now I’m thinking about the equally delicious gluten and dairy free chocolate chip cookies mom made. Again, just good. Not good for what they are, just good. It’s those damn chocolate chips. They’re out of this world. Julia Childs always reminded us to Not. Crowd. The. Mushrooms! What a mess, right? Clearly a disaster. 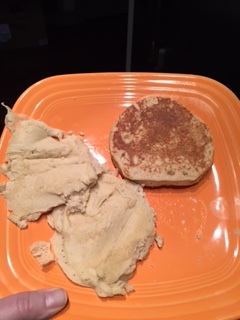 Well, I learned the hard way to not crowd your pancakes. Also, use medium-high heat. You’ll all be relieved to know that they were delicious once I figured it out. I risked a gluten attack and used a tablespoon of my super amazing Woodinville Whiskey Company Maple Syrup. It’s pricey, like all maple syrup that happens to be put into casks formerly used for making bourbon and rye and bundled into beautiful bottles would be, but it’s a worthy purchase. Thanks Jason and Ben for introducing it to me! Pancakes, check. What’s next? The three overripe bananas on my counter commanded me to find a recipe for Banana Nut Bread. I made muffins because I figured that would be easier to portion out, and less risk of a burnt crust and raw inside. They’re so good! Here’s the recipe, thanks to the Civilized Caveman. I had to leave out the cinnamon, which was kind of a miss, but the coconut oil was a great sub for butter and some organic peanut butter I had lying around from my experiment with gluten free bread (disgusting) worked too. I might try to make my own gluten free bread, but it looks insanely complicated and I’m just not there yet. Maybe another six months of watching cooking shows will inspire me. 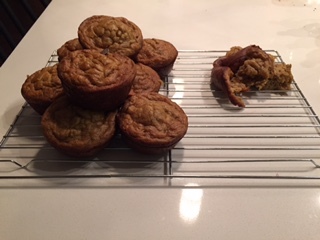 The crumbled up friend on the right is what you get when you try to dump out the muffin pan too early. I only have one and wanted to get the next batch going. I guess I didn’t sufficiently re-grease the pan and got a little aggressive when slapping the back of it. Oops. I ate it anyway, and it made for a funny pic. These little guys have been paired up with eggs and Applegate chicken sausage links for breakfast the past few days and it’s as good as can be! 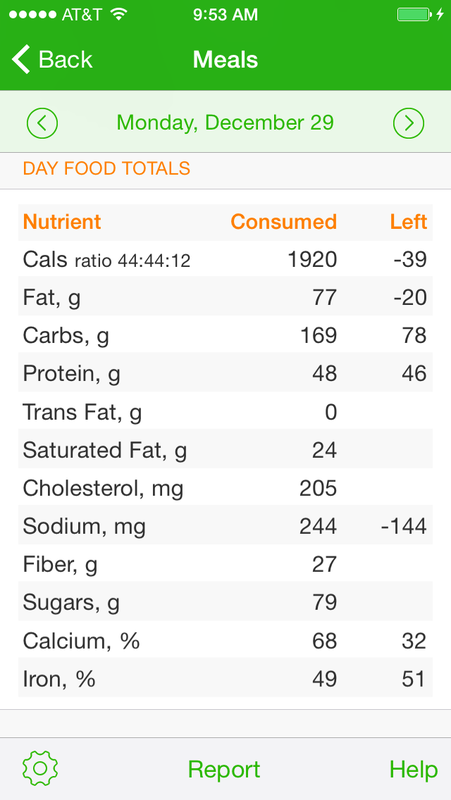 Much more decent on the calorie content than I thought – 174 calories and 13 carbs. Don’t ask me about the fat content, but you can take a wild guess based on the coconut oil and peanut butter. At least they’re satisfying? Plus they’re made and served with egg whites, which helps. Kind of. One more cooking discovery this week – Thai food! Well, I need to explore it in a broader scope, but Target has some Archer Farm dinner kits that didn’t have any of my allergens. The panang curry was seriously delicious, and God bless coconut milk. I have dinner plans with a girlfriend on Thursday, so I’m going to check into a few local restaurants and see if I can make that magic happen out and about too. I LOVE curry. Both Thai and Indian food use a lot of coconut milk, so maybe if I avoid the paneer I can make it work. As my fellow singletons know, cooking is dubious business when you’re cooking for one. Sure, there’s a hoard of recipes out there to cook for one person, but where do you get 1/4 of an onion? Last time I checked, they are sold whole. 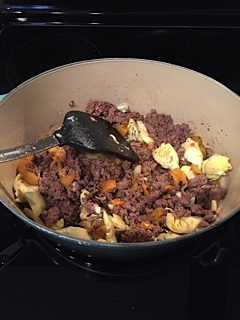 I know I can cook pre-diced frozen ones and use just a bit, but it’s much easier for me to justify my half-assed cooking attempts by saying it’s too hard to cook from scratch. Fortunately, I’m not a super picky eater and don’t usually mind eating the same thing for a few days. I also survive on Aidell’s chicken sausage sold in bulk at Costco and whatever random veggies I’ve picked up. 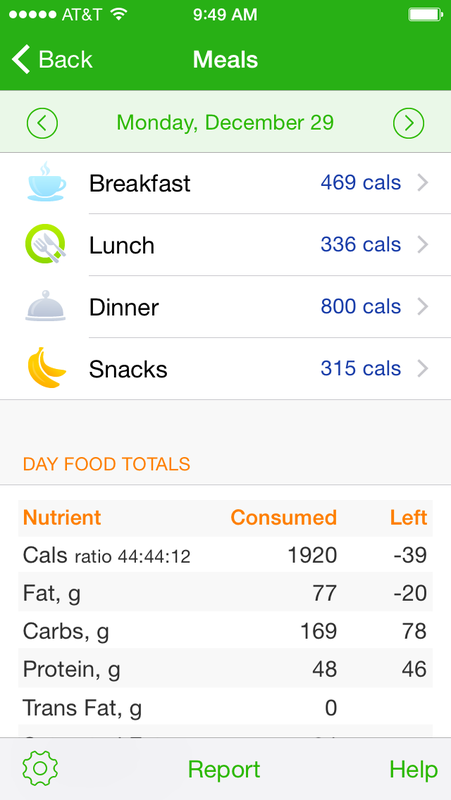 This is probably why I’m losing weight. In an effort to find a substitute for that disgusting macaroni and cheese problem I’ve been having, I made spaghetti. 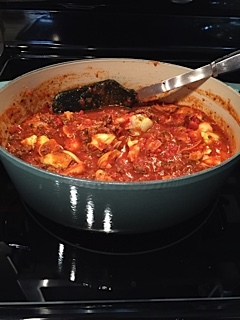 Spaghetti sauce is something I’ve always done well, and I make a kickass lasagna. Since lasagna is now my nightmare food, full of delicious cheese, mushrooms, garlic and gluten, guess I’ll have to suffer through modified spaghetti. I browned up some organic, grass fed hamburger (thanks, Costco!) 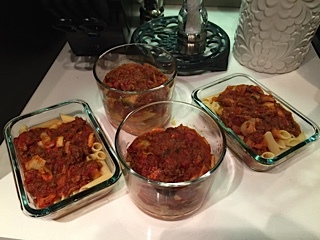 and added some roasted red and yellow peppers, two cans of artichokes and two glass jars of spaghetti sauce. One is from Kroger, one is from Target, and they are both organic, relatively garlic free deliciousness. One is actually pretty spicy, which was nice! Plus I got to use my Le Creuset pot, which is gorgeous and always makes me smile. Thanks, Mom! So, call me Sandra of the Semi-Homemade Cooking show fame, but whatever. At least I didn’t jump warm it in the microwave and call it a day. I got four lunches out of the leftovers, two servings for dinner because I have no salad stuff here and I’m feeling like a big fatty today, plus six cups for the freezer. BOOM. 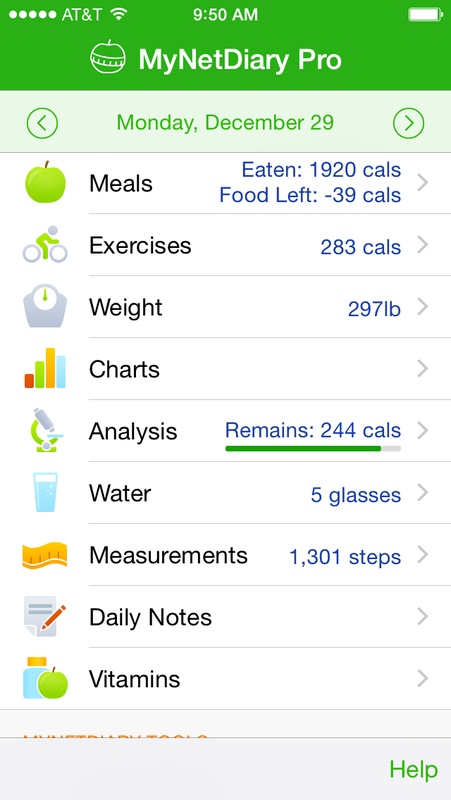 At least I’m still within my calorie threshold for the day and I got a lot of iron from the beef. Take that, Anemia! I will kick you in the pants. Sure, it’s barely 6 pm and I can’t eat anything else today, but I’ll survive. That’s why God blessed us with fizzy flavored water. I used the Ronzoni Gluten Free Penne Rigate. It tastes pretty normal to me and I like the chunkier noodle with my chunky sauce. Regular spaghetti noodles seem like they’ll make a mess. OH! That reminds me that I bought myself a spiralizer that should be here tomorrow, so along with my salad stuff I’m going to pick up a zucchini and see how that works. I really like spaghetti squash with my pasta sauce, so hopefully I’ll like the zucchini just as much. Less mess and chances for microwave explosions (coughMaryAnnecough.) I’ll post pics of that this week, and I promise it’ll look like a Pinterest fail. Speaking of Pinterest, my girlfriend Erin asked where I was finding recipes these days. God bless her, she’s allergic to shellfish just like my Uncle Ray, who I hear willingly almost put himself in the hospital to bulldoze through a famous buffet in NYC back when I was a baby. Crazy man. Anyhoot – Paleo has been pretty popular for a few years now, and thank goodness, because anything Paleo normally has none of my allergens, aside from garlic, blueberries, spinach, and the other randomly good for everyone else that walks the planet foods that I can’t eat. 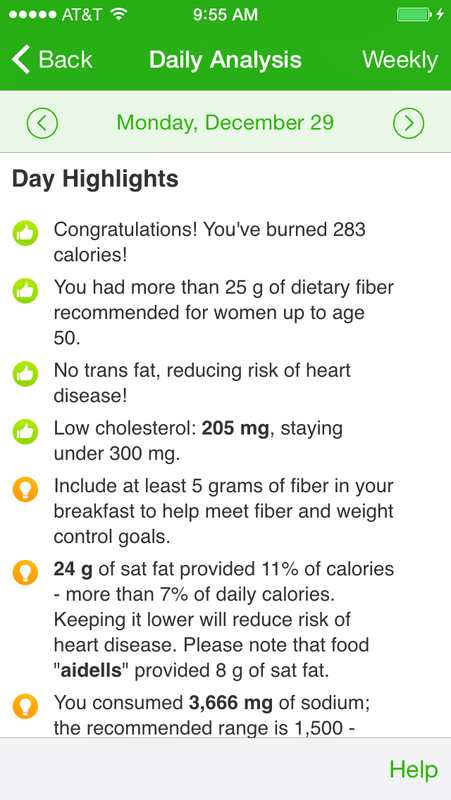 And some of the stuff I’ve been eating for years thanks to Weight Watchers is allergen free too, like my shredded chicken! All that said, I think I’m still allergic to tomatoes. They apparently don’t screw up my blood and exacerbate my inflammatory issues, but I’m typing this blog with a tightened throat and my face feels like it is sunburnt. Hmm. Did this with Suzy’s awesome allergen free taco soup the other night too, so I think tomatoes will continue to be in my diet but VERY. SPARINGLY. Tonight is good since I don’t have any big plans. Hopefully I won’t wake up with hives tomorrow. PLEASEPLEASEPLEASEPLEASE. Hives are the worst. It could be the spices, though, especially since black pepper in on my naughty list. Who the hell knows? Again, just put me in a bubble. I guess I need to live on protein shakes and oatmeal 🙂 Or just have permanently sunburnt cheeks and perpetually chapped lips. Anyone got a great lip balm they love? I’ve tried the Eos (no longer work for me and make my lips worse) and I’m concerned that my honey intolerance makes beeswax an issue, so that rules out Burt’s Bees. Carmex doesn’t seem to make things worse, but it does burn when I first put it on. Maybe I’ll save this question for my dermatologist post that I’ve been pondering for a few days now. Eating at home is no problem, and I can generally find my way at restaurants (fyi, steakhouses and Mexican seem to be the easiest.) When all else fails, like when you’re at Lambert’s in Missouri avoiding those thrown rolls, get a salad. No dressing. Because that mess always has soy. Mom made a great discovery, and that’s gluten-free pizza crust! I was thankful that tomatoes weren’t on my official “bad” list, even though they come with their own issues, so back to red sauce for me! I found some pizza sauce that has garlic listed as one of the last ingredients, Daiya mozzarella style shreds, pepperoni and I’m good to go! Fake cheese is weird stuff, I’ll admit, but when you want pizza you want pizza. The sad thing is that gluten free, dairy free and soy free pizza still manages to have all the calories of regular pizza. BOOOOO. Here’s how it looked! Well, one of my pizzas anyway. 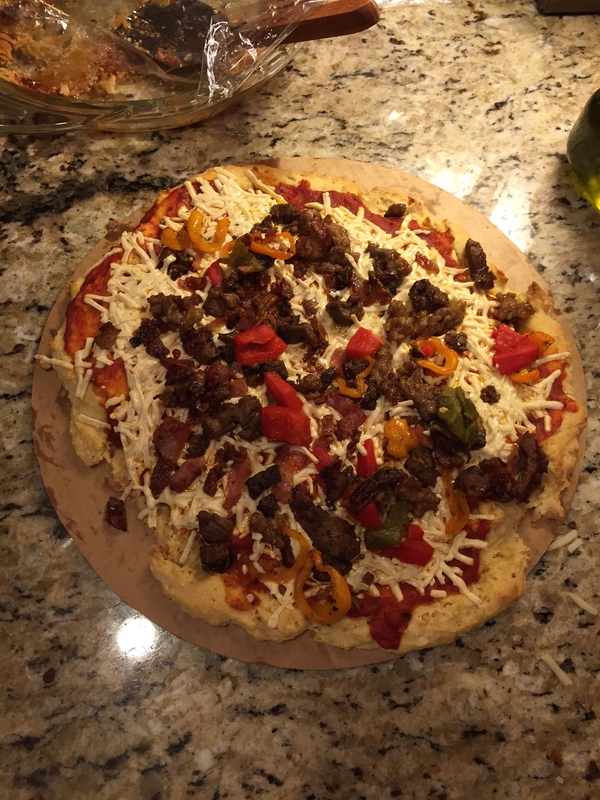 We used the Hodgson Mill gluten free pizza crust mix, Daiya mozzarella style shreds, delicious Harter House sausage and some roasted red peppers and hatch peppers. Yum! So where does the pasta part of this post come in? My biggest fear is showing up to a dinner party with lasagna on the menu. If the salad is already dressed, I’m probably toast, unless I’m at Becky’s house. She always makes her own dressing with olive oil. I keep trying to remember that the allergy doctor told me to focus on the biggies when it comes to black pepper and garlic, because they are almost as sneaky as soy.